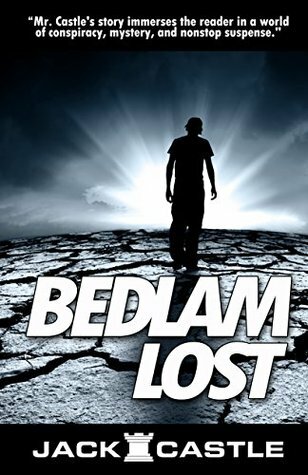 Jack Castle’s novel BEDLAM LOST is about… Exactly! The first thing you notice when trying to explain Castle’s novel is that it’s hard to pigeonhole. Publisher EDGE lists the genre as: Fantasy, Paranormal, Thriller & Suspense and Action & Adventure. Sounds like they can’t decide, right? And to tell you the truth they’re right on all four categories. I might even throw in a few more like: Horror, Psychological Thriller and Theological Phantasm. Is that last one a thing? The novel is so hard to pin down because the narrative has a dream-like quality that really draws you in. It felt like one of Kurt Vonnegut’s better works. Every time you think you have a handle on it, Castle’s narrative takes a hard left turn for somewhere else. The protagonists are New York City ballet dancer Emma Hudson and Deputy Hank McCarthy. Castle draws us into their stories through their actions, which are immediately engrossing. Hank’s tale starts off like it might be a standard new-sheriff-in-town story, but then things get pretty crazy pretty quick. Emma, on the other hand, pegs the weird-o-meter right off the bat. They both end up in a remote Alaskan town called HavenPort where their narratives intersect. By the time things really come unglued, we’ve been immersed within both Emma and Hank long enough to be fully in their corners. Castle does a great job bringing both protagonists to life. As to the surrounding characters Emma and Hank meet in HavenPort, what a weird and wonderful menagerie! The main antagonist is a particularly worthy nightmare, but I won’t go into detail; this character really must be discovered without preconceived notions. You won’t be disappointed if you pick up BEDLAM LOST. Jack Castle is a writer worth keeping an eye on.